Breah came to read me her wonderful ‘The Lion Who Came to Tea’ story. It was so detailed and Mrs Beardsall was so pleased with the obvious care she had taken in her work. Erica came to show me her wonderful, ‘The Meerkat Who came to Tea’ story. 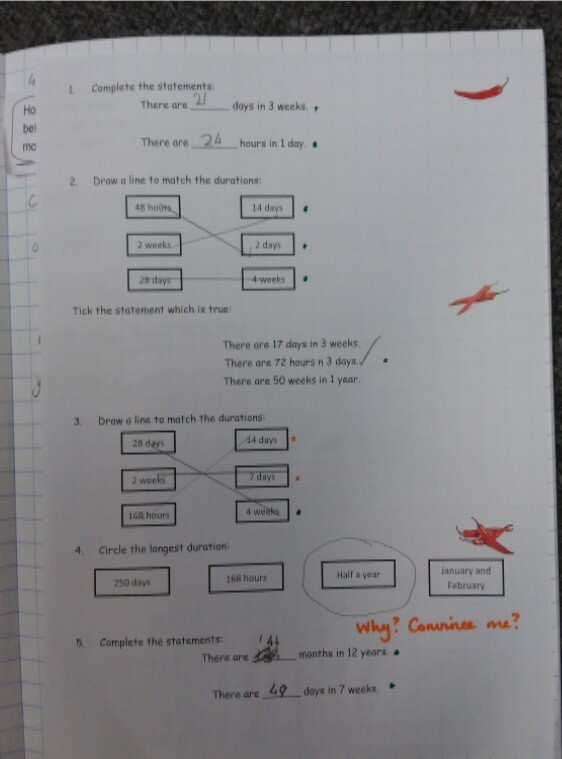 Mrs Beardsall was particularly impressed with the way she had edited her work to add the correct punctuation. Ruby came to show me her maths work. It was clear to see that she had taken on board comments from her teacher to help her improve her work. She was able to reason and explain to deepen her understanding. Keep it up Ruby!